The first legs of 6 World Cup qualifiers contested by 12 hopeful nations have been played this week, and it is pretty much certain that 2 of these teams will be going to Brazil and two of these teams will be staying at home. Mexico thrashed New Zealand 5-1 in a fine display whilst Jordan were inevitably destroyed 5-0 at home by Uruguay. The only real surprise of these qualifiers came in France’s qualifier against Ukraine where the Yellow Blues came out victorious with a 2-0 win. Despite some wonderful footballing displays there is still a lot to play for in the 2nd legs in many of these ties. A few teams can’t start celebrating just yet…. 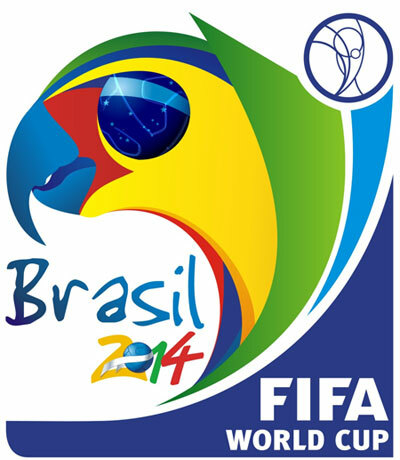 Note: Russia, Bosnia and Herzegovina, England, Spain, Chile, Ecuador, and Honduras all secured World Cup 2014 qualification with their results. Two of either Mexico, Honduras and Panama are fighting for a final qualifying and play-off spot. Jamaica trail the rest by four points, but technically still have a slim chance. The fourth placed-side will play New Zealand. Mexico, Panama and Honduras are all contenders for the final automatic qualification and play-off spot. Four points behind them lie Jamaica who are in very slight contention for a place. It’s all to play for in the Americas. Hosts Brazil are guaranteed a place in the World Cup and giants Argentina have qualified. The remaining teams are all in with a chance of qualifying for the competition with Ecuador, Chile, Colombia and Uruguay battling it out. These four nations are fighting for the three remaining guaranteed slots. Whoever finishes fifth will go into a play off against Jordan from the Asian qualifying section. There are plenty of possible qualifiers as five play-off matches are being held, home and away, in October and November. The 5 aggregate winners of these ties will proceed to the World Cup next year. Ivory Coast vs Senegal and Algeria vs Burkina Faso will kickstart the games on Saturday 12th October. Along with these sides, on Sunday Ethiopia host African champions Nigeria, while Cameroon visit Tunisia. Ghana host Egypt in the final first-leg match on Tuesday. New Zealand comfortably won their section finishing six points ahead of New Caledonia in second place, but must wait for an opponent from the Americas to see if they can qualify. Surprisingly, Australia opted out of qualifying in the Oceanic region, and have qualified in the tougher Asian qualifying region.